First time visiting Buena Vista & Salida? Start here. Located in the heart of the Rocky Mountains, Chaffee County offers a wide variety of activities for all types of travelers. The Arkansas River Valley, including Browns Canyon National Monument is in the eastern half of the county. The Sawatch Range, including the Collegiate Peaks, are located in the western half. Chaffee County's population is approximately 19,000. The two largest towns are Buena Vista (locally pronounced, 'Bew-na Vista') with a population 2800 and Salida, population 5500. The Arkansas River flows thru both and is a popular spot for rafting, kayaking, & fishing. Between Mt Princeton & Mt Antero is Chalk Creek Canyon. 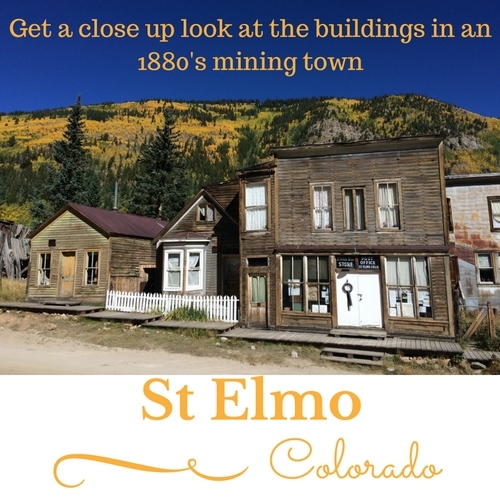 Visitors can find hot springs, waterfalls, St. Elmo Ghost Town, hiking trails, Chalk Lake, USFS Campgrounds, atv & Jeep trails, and horseback rides. There is no cell service west of the Mt Princeton Hot Springs. Showers are available at the Buena Vista River Park for 25 cents per minute, or get a day pass at Mt Princeton Hot Springs. In Buena Vista, your Dillon's/City Market/King Sooper/Kroger card can be used for discounts at the City Market grocery store or gas savings (3 cents) at Loaf N' Jug. Salida is located 27 miles south of Buena Vista and is home to the only Walmart in Chaffee County. National Geographic Maps #129-132 are great to bring along. You may find they are more accurate than Google & Garmin in some of the less traveled areas or where there is no cell service. Amazon has them available for about $12 each or you may find them locally for about the same price.